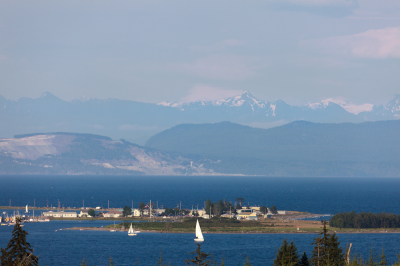 The Gales ocean view bungalows and condominiums in Ladysmith on Vancouver Island are new homes offering an amazing location, surrounded by nature and featuring ocean views of Ladysmith Harbour and the nearby islands. Ownership at The Gales offers residents the opportunity to enjoy an idyllic island lifestyle. Living at The Gales means enjoying year-round walks on the many local beaches and leisurely strolls through the pristine forest right at your back door. Owners can relax, knowing that landscaping and yard maintenance are handled. This Vancouver Island real estate development is located in the town of Ladysmith, a community with year-round outdoor activities and adventures, along with one of Canada's most temperate climates. The Comox Valley’s newest patio home development, Railside Lane, is located at 1620 Piercy Avenue in the heart of Courtenay on Vancouver Island. New homes for sale at Railside Lane range in price from $249,900 to $269,900. These new Comox Valley townhomes and duplexes in Courtenay feature three different floor plans, are available with two or three bedrooms, and range in size from approximately 1,300 to 1,700 square feet. 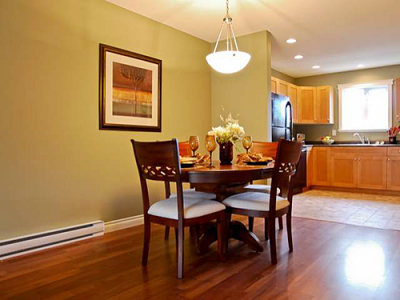 Beautifully finished hardwood floors and tile grace the open-plan, main-floor living area and spacious kitchen. Master bedrooms feature his-and-her closets with custom wooden organizers, while ensuites boast heated tile floors, stylish sinks, and dual showerheads, one of which is a rain head. Affordably priced, the new townhomes and duplexes at Courtenay’s Railside Lane offer custom lighting throughout, complete appliance packages, and now include window blinds. Railside Lane offers the convenience of strata combined with the living space of a single-family home. 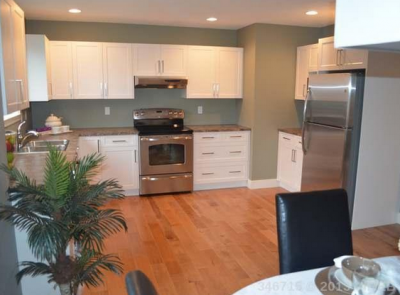 These Courtenay patio homes have attached garages, additional driveway parking, and guest parking spots. To tour the townhomes and duplexes at Railside Lane in Courtenay, drop by an open house at 3 - 1620 Piercy Avenue, held Saturdays from 1:00 to 3:00 p.m. You can also contact Comox Valley Realtor Scott Fraser, PREC, of Royal LePage in the Comox Valley, at 250.334.3124. Nutmeg Homes is an award-winning custom-home builder in the Comox Valley that specializes in buildlng custom homes with insulated concrete form (ICF) construction methods. From their Comox location, Nutmeg Homes deploys innovative concrete construction techniques to build energy-efficient green homes that will flourish for generations. Several of the new custom homes they’ve built in and around the Comox Valley since 2000 are highlighted on their website. You can also follow along as owners Paul and Shareen Witt blog about building their own ICF home in the Comox Valley! Nutmeg Homes is currently exploring options for building LEED (Leadership in Energy and Environmental Design) certified homes. They’ve also begun developing living roofs, also known as green roofs. Living roofs are covered in vegetation, which lowers cooling costs and reduces storm water run-off. The Vancouver Island Visitor Centre in Cumberland is a fabulous example of a Nutmeg Homes living roof. To find out more about Nutmeg Homes and their innovative ICF construction methods, please visit their website. Nutmeg Homes is an award-winning custom home builder on Vancouver Island that uses insulated concrete form (ICF) construction to create beautiful new homes that are built to last. Based in the Comox Valley, Nutmeg Homes uses innovative concrete construction methods to create green, energy-efficient new homes that will last for generations. The Nutmeg Homes website features a number of the new custom homes the company has built in and around the Comox Valley since 2000, and features details about the ICF construction process. On their website, you can also follow the progress as owners Paul and Shareen Witt blog about their experiences and the construction process as they build their own ICF home in the Comox Valley. Nutmeg Homes is also currently exploring options for building LEED certified homes and has begun developing green (or living) roofs. A fabulous example of their living roof work can be see on the new Vancouver Island Visitor Centre located in Cumberland. At Woodcote Mews in Courtenay, you can own a new three-bedroom home in the Comox Valley for well under $200,000. Prices of the three remaining units at the Woodcote Mews townhome development have been lowered to only $189,900. These new Vancouver Island homes also offer the opportunity to choose your own paint colours and finishes, and still move into your new three-bedroom home within a month. Seventeen of these 1,320 square-foot duplex homes on Cumberland Road have already been sold. The remaining three townhomes have all been completed to lock-up, and will be finished to the buyer's specifications and and move-in ready within a month. The developer will complete the interiors of the units based on the new owners' selected colour schemes. 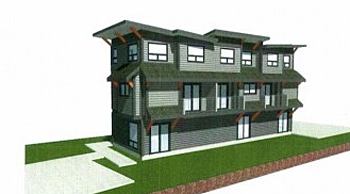 These new Vancouver Island duplex homes feature a spacious layout, with three bedrooms and two bathrooms. Each townhome is finished with a quality appliance package that includes a refrigerator, stove, dishwasher, washer, and dryer. Woodcote Mews is owned and developed by Madrona Projects Ltd. The company shareholders have been in the development business for over 25 years and have experience in all aspects of development, construction and management of residential and commercial real estate. For more information, contact Realtor Scott Fraser at Royal LePage in the Comox Valley. Show-stopping views await at The Ridge in Courtenay, a new real estate development in the Comox Valley on picturesque Vancouver Island. The Ridge is a master-planned community comprising 230 single-family residential building lots (some with lane access), zoned for new carriage homes, duplexes, patio homes, workshops, and secondary suites. Lot sizes range from 7,000 to 12,000 square feet and prices start at $169,900. Several development phases are planned for The Ridge, beginning with 69 new custom homes in Phase 1. The first new custom home in Phase 1 of this master-planned community is now under construction. Embracing the principles of sustainability, The Ridge’s developer has created strong architectural guidelines and building schemes to protect property values. Many of the residential lots in this 77-acre Comox Valley real estate development feature panoramic ocean and mountain views. Community highlights will include an extensive network of walking trails and parkland with open waterways. The Ridge is also directly connected to Millard Creek Nature Park. As the urban, business, and cultural hub of the Comox Valley, Courtenay offers city amenities in a village atmosphere. Shopping, restaurants, galleries, and other entertainment abound, as do recreational activities such as hiking, kayaking, championship golf, boating, and unparalleled West Coast fishing. Pristine snow and world-class conditions at Mount Washington Alpine Resort will delight Nordic and Alpine skiers. The nearby Comox Airport offers direct daily flights to Vancouver and other major Western Canadian cities. For more information, call 250.650.8588, visit their website, or click on the “send message” button below. The Vancouver Island waterfront vacation homes at Reef Point Cottages provide an exceptional Ucluelet real estate opportunity for those who want to explore the natural landscape of Ucluelet and Tofino. The resort currently has a private waterfront cottage for sale: a low-maintenance 956 square-foot home with two bedrooms and two bathrooms. This property offers excellent rental revenue opportunities within the Reef Point Cottages resort area. Luxury touches in this beautiful waterfront home include teak, marble, and slate flooring; granite counters; and pine wainscotting and ceilings. Curl up by the fireplace on stormy nights or bask in your private hot tub on the oversized covered deck overlooking Spring Cove. Unit 273 is competitively priced at $279,000. This Ucluelet vacation cottage for sale is part of the Reef Point Cottages rental program, entitling the owner to six months personal use per year. Cottage owners may also leave their vacation home in the rental program full-time and earn revenue with this hassle-free investment. Reef Point Cottages are located on the breathtaking West Coast of Vancouver Island near Tofino, only minutes from Ucluelet’s isolated pocket beaches and beautiful Long Beach in Pacific Rim National Park. 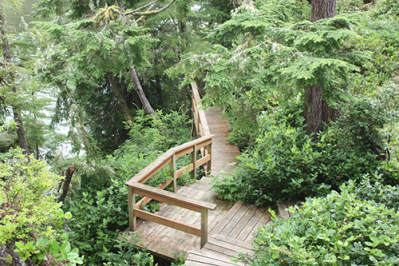 Stunning vistas of the Wild Pacific Trail are virtually steps away from Reef Point Cottages. For more information, visit their website or call 1.877.726.4425. Comox Valley Realtor Tina Vincent, PREC, offers Comox Valley homebuyers and sellers a knockout combination of traditional real estate services and modern marketing techniques. As your Comox Valley Connection, Tina Vincent is dedicated to finding you a home, vacation property, or investment property on Vancouver Island. She uses her real estate expertise and knowledge of home construction to assist Vancouver Island buyers and sellers in the Comox Valley, Courtenay, Comox, Cumberland, Parksville, Qualicum Beach, and Campbell River. Tina has a rare triple-option property for sale at 1736 England Avenue in the Comox Valley, in the municipality of Courtenay, on Vancouver Island. Priced at only $239,900, this three-unit Comox Valley property offers a 25% plus profit margin target with retail pricing to high the current market values. It's MU-2 zoned, with all architectural plans and other items ready for a development permit. Make this new Vancouver Island property your home, use it to run a business, or turn it into a profitable real estate investment. It boasts a home office, separate 20’ x 18’ boardroom, and is in a great Courtenay location, close to all amenities. It won’t last long, so contact Tina Vincent, PREC, Comox Valley Realtor, at 250.792.2776 or visit her website. 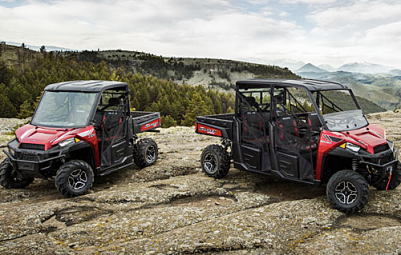 WesternOne, a one-stop shop on Vancouver Island for tool and equipment rentals and sales, is also North Vancouver Island’s only authorized Polaris ATV and Ranger/RZR Utility Vehicles dealer. They serve the Comox Valley, Campbell River, Port Alberni, Parksville, Qualicum Beach, Nanaimo, the North Island, and the Sunshine Coast. WesternOne is the only location on Vancouver Island where you can buy or rent Canada's best-selling ATV. Their Comox location has Polaris factory trained and certified technicians on hand for any ATV parts and servicing needs. As Vancouver Island’s only Ranger/RZR dealer, WesternOne is committed to providing the same great customer service for their ATV sales and service as they do for equipment rentals. WesternOne also rents, sells, and services scissor lifts and aerial lifts; generators; air tools; concrete equipment; and forklifts on Vancouver Island, from both their Comox location and their new Courtenay location on Moray Avenue. If you need to rent anything for your home or business project, WesternOne has thousands of items from which to choose. For more information or to request a quote, call 250.339.4518 or 1.877.339.4518. And, if you’re in the market for an ATV, drop by for a test drive! 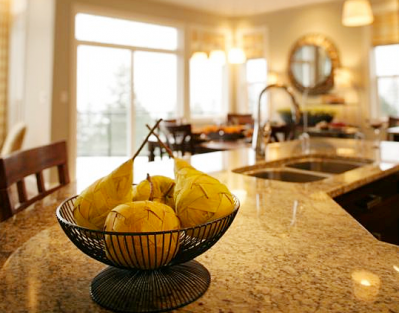 When you’re looking for inspired kitchen design or custom storage solutions, turn to the experts at Inspired Spaces By Harbour Kitchens & More in Courtenay. 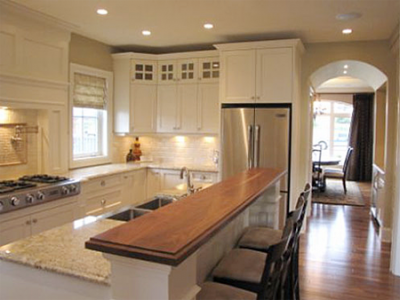 Inspired Spaces specializes in custom kitchens, millwork, and Murphy beds. Inspired Spaces & More is an established Comox Valley millwright company with many years experience in the manufacturing of entertainment units, fireplace mantels, commercial offices, and customized furniture pieces. Their meticulous attention to detail and quality craftsmanship will ensure your kitchen is a showcase of both fashion and function. Just imagine the family meals, cozy dinners with friends, or large gatherings you’ll be inspired to create in your new kitchen. "We just finished having our new kitchen cabinets designed, supplied, and installed by Inspired Spaces in Courtenay," says one couple. 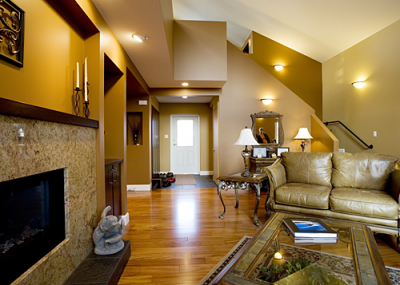 "We’re completely happy with their work and attention to detail. At no time did the designers rush us to make a decision. They were always ready with helpful suggestions and available when we had questions. The cabinets are made of hickory and are flawless; all doors and drawers operate smoothly. The installer did a perfect job. He never rushed and everything had to be perfect before he was satisfied with his own work." Contact Inspired Spaces today and start creating your own inspiring space. The company's motto is: "We inspire to create products for those who appreciate quality made by skilled craftsmen and experienced design staff." Proudly Canadian, Cloverdale Paint Courtenay offers a vast selection of paint and coatings for homeowners, tradespeople, and industry. A leader in eco-friendly paints, green products, and low-volatile organic compound (VOC) paints, Cloverdale Paint in Courtenay has one of the Comox Valley’s largest selections of water-based and low-VOC paints and coatings. One of the special coatings carried by Cloverdale Paint Courtenay is a decorative, zero-VOC, 100% solids, otherwise known as polyaspartic floor epoxy. 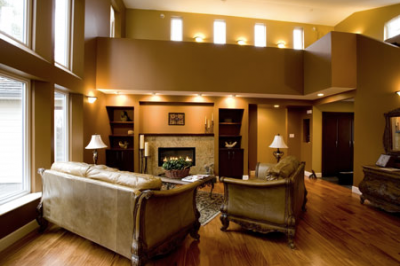 This specialty coating is available for a metallic, vinyl chip, or quartz type of floor used in homes, medical offices, and commercial buildings. 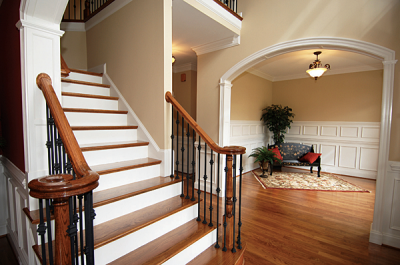 Cloverdale Paint Courtenay can also recommend a qualified professional trained to work with this specialty product. Cloverdale Paint Courtenay offers a full selection of wall coverings and sundry items, as well as lacquers and stains (both solvent and waterborne). Their in-store staff are trained colour consultants who would love to help you with your painting and decorating needs. Visit them at #1, 2998 Kilpatrick Avenue in Courtenay, or contact Linda Ronald, trade sales representative for North Vancouver Island, at 250.830.8430. If you’re buying or selling a home in Campbell River, BC, on Vancouver Island, be sure to call Campbell River Realtor Jenna Nichol of Coast Realty Group! A real cheerleader for the City of Campbell River, Jenna is excited to help people find their perfect patio home, townhouse, vacation property, or residential lot to build your custom home. While Jenna’s primary focus is on residential properties, she also works with clients who are interested in commercial real estate. She has knowledge of income properties and enjoys working with buyers looking for real estate investments in Campbell River. Jenna enjoys working with real estate buyers and sellers in all age groups, but has a special affinity for helping seniors buy or sell a home. "We seem to click, and we always have something to talk about," Jenna says. "It may be because they’ve always got a good story to tell, or it could just be that I'm a little old-fashioned." Jenna’s passion for Campbell River is also reflected in the volunteer work she does for Habitat for Humanity, The Young Professionals of Campbell River, and The Campbell River Men’s Club. A great way to start your search for a Campbell River home is to sign up for Jenna's Private Client Services™. With this complimentary service, you’ll receive automatic email updates on listings that meet your real estate search criteria. Register online or give Jenna a call at 250.204.6822 (mobile) or 1.800.563.7322. She’ll be happy to set it up for you. 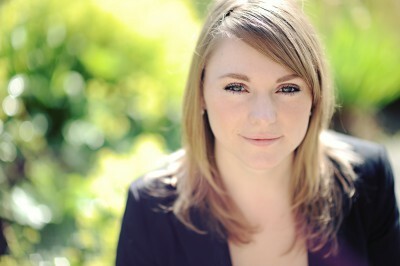 Buying or selling your Campbell River home is a breeze with Realtor Jenna Nichol. Contact her today! 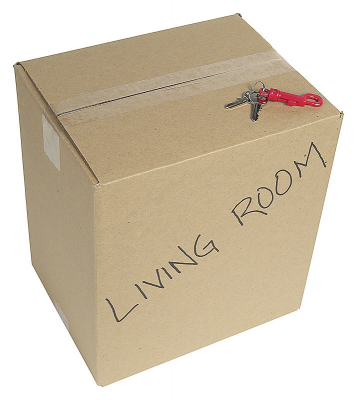 Are you moving or relocating? Do you need extra storage for office equipment or household items? AA Mini Storage in Nanaimo offers a variety of self-storage options for businesses and households, including vehicle storage, RV storage, heated units, and drive-up storage units. These self-storage rental units range in size from 5x5x5 to 20x30, so you’ll find the perfect spot to store almost anything, including furniture, household items, business equipment, house contents, boats, vehicles, and RVs. AA Mini Storage provides multiple levels of security, including video surveillance and gated access. Friendly and helpful resident managers are on site, and units are available seven days a week. With drive-up doors on units 10x10x10 and larger, your storage locker is always accessible. When you need additional short-term or long-term storage space for your home or business, AA Mini Storage is your "go to" storage facility in Nanaimo. Call 250.758.7422 for more information, availability, and pricing. Are you buying or selling a home in the Comox Valley? Realtor Scott Fraser (PREC) with Royal LePage in the Comox Valley is ready to help. Scott was born on Vancouver Island and has lived in the Comox Valley since 1992. His real estate and business experience give him the necessary expertise to help you buy or sell a home, townhouse, patio home, condominium, income property, or recreational property in Courtenay, Comox, Cumberland, and the Comox Valley. With more sunshine than many other communities on Vancouver Island, the Comox Valley enjoys mild winters and warm, dry summers. Your key to enjoying this wonderful area is finding the right location for your next home, one that fits your budget and lifestyle. 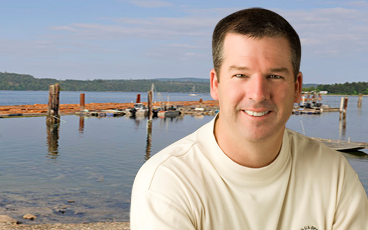 Whether you enjoy the city amenities of Courtenay, boating in Comox, mountain biking in Cumberland, skiing at Mount Washington, or golfing at Crown Isle and surrounding golf courses, Scott Fraser has the right skills and experience needed to find the perfect real estate for you. Some of Scott's current listings include Railside Lane, a patio home and townhouse development located in a quiet spot in Courtenay, just a short walk from downtown. For more information on Railside Lane, call Scott Fraser at Royal LePage in the Comox Valley at 250.334.3124. You can also view Scott’s Comox Valley listings on his website.